When transferring from the military service, whether it be to the private or public sector it is important to critically evaluate your employment history. The number one complaint from recruiters regarding resumes from Australian Defence Force (ADF) personnel is that they don’t understand them because they are either full of ADF specific terminology, or acronyms (or both!). An example of a resume containing too much industry specific jargon is below. from ADF personnel is that they don’t understand them." a full understanding of the applicant’s skills and abilities. Even if all the terms and acronyms are genuine and relevant to your application, a recruiter who can't understand them may not contact you for clarification. They may just put your application in the 'no' pile and cite 'poor communication skills'. 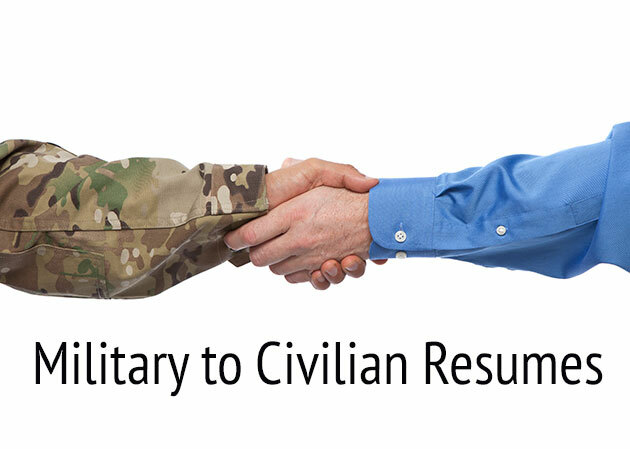 This also applies if you are submitting an application for a civilian position in the same work area that you are currently posted. Just because you know the people you will be working with, and the superiors in the area, does not mean you know everyone on the selection panel. They might throw in an independent panel member at the last minute who has a limited understanding of military terms and acronyms. Read through your resume and selection criteria and identify any terms or acronyms that might be military, defence or industry specific. a letter or memo. In the private sector a minute is a written record of a meeting. Employers will not know what your rank means, or where that fits in the scheme of the ADF. They will not understand the discipline and training that has come with your employment, and they will not appreciate the hard work and recognition within the organisation that comes with a promotion. statements addressing the selection criteria. It is always best to go back to basics and explain in full, rather than risk being vague and misunderstood. Could you be writing your selection criteria responses all wrong?